In recent years, I've shied away from challenges for a variety of reasons, most of which drill down to this: I don't like reading on a schedule. I even failed (miserably) at last year's TBR Challenge (I read one book from my list), and those were all books I already wanted to read (and already owned, for goodness' sake). But here I am again, joining in on Book Riot's Read Harder challenge. Why? 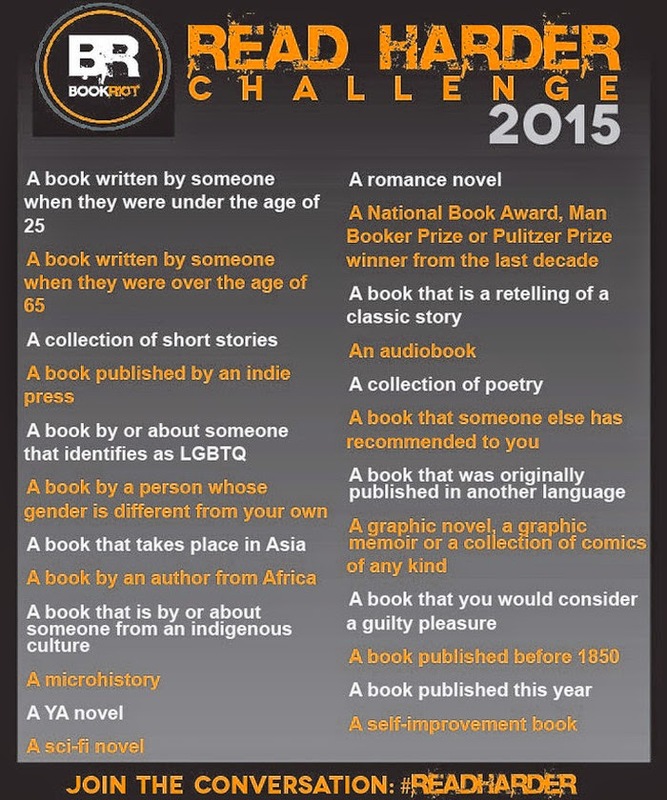 Because I like the idea of using the challenge to read books I own and books I don't; books in new-to-me genres and well-loved genres; books I've heard of and those I have to seek out to fill some category or another. So we'll see how it goes. I'll keep track of my progress and what books I read on this page and on a Goodreads shelf. I can already tell you that some categories will be no-brainers (a book published this year) while others will push me very far outside my comfort zone (a collection of poetry). Are you joining the Read Harder Challenge this year? Tempted, tempted. But Panels might also have something in the works. Ahem! I didn't really make resolutions this year, just told myself I was going to try to read with more intention, so I figured this would help with that. I'm intrigued by a Panels parallel... I've been getting more into comics and graphic novels lately, and don't always know where to start or what to read next.